– Because it is growing too high. – To rid the tree of diseased branches or those those have been damaged by a storm. These branches can be a hazard and they are also a drain on the resources of the tree. – To thin the crown for new growth and improved air circulation. Trees require lots of air in order to survive and thrive and get that full and green appearance we all associate with a healthy tree. Once you have opted to prune your tree, you need to decide if this is a job you want to attempt by yourself or if you want to call in an arborist. If the tree is very large and pruning will require climbing high up into it, you shouldn’t think twice about hiring an expert. Also, keep in mind that there is a huge difference between pruning your tree and tree lopping. 1. Trees don’t really require pruning and will grow just fine without it. This is probably the most frequently heard myth concerning tree pruning. Like it or not trees need pruning. If you fail to prune your trees in a timely manner it will not only negatively affect their appearance, but their health too. Pruning benefits trees because it gives them a boost to grow strong and also makes them branch out in different directions, thus giving them a fuller appearance. 2. Trees shouldn’t be pruned in the summertime. This is just another myth which has no substantiation in fact. 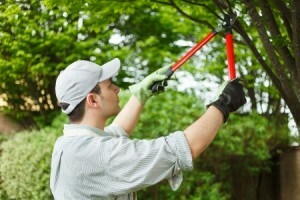 Pruning your trees in summer will not harm them in any way. That’s a fact. Besides which it can only help improve their appearance and health as you get rid of dead leaves and branches. This will free up the water and nutrients they were sapping from the tree to go to the branches that are alive and healthy. 3. Pruning your tree at the wrong time can cause it to die. Yet another myth. While it is a fact that pruning at the wrong time can cause injury to the tree, instances where trees actually die because of being pruned at the wrong time are rare. It’s best not to prune a tree when the sap is flowing, however, that doesn’t mean that if you do so you have irreparably harmed the tree and it is bound to die. 4. Fruit trees and shade trees should be pruned in the same manner. Any arborist can tell you that shade trees are pruned much less and not as heavily as fruit trees. This is because fruit trees are pruned every year in order to encourage growth of the wood that eventually will lead to the production of future crops of fruit. 5. Over-pruning is a common problem and will kill your trees. While you can indeed over-prune a tree, the average Gardner isn’t going to do this unless they are using a power tool. Trees, especially young trees should be pruned lightly and with care. 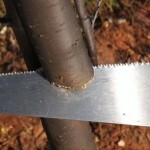 In order to be a capable pruner, you need a clear understanding of how a tree is going to react to the cuts you make. If you are in doubt, or even if you feel that your pruning skills could use a little brushing up, take a pruning class or two. You might be surprised at all you have to learn. Candice is an arborist in Sydney and had dealt with many topics pertain to tree care in her more than a decade on the job, even tree lopping in Sydney. She had earned her reputation as an expert on all matters relating to trees and continues to write daily articles about proper tree care.